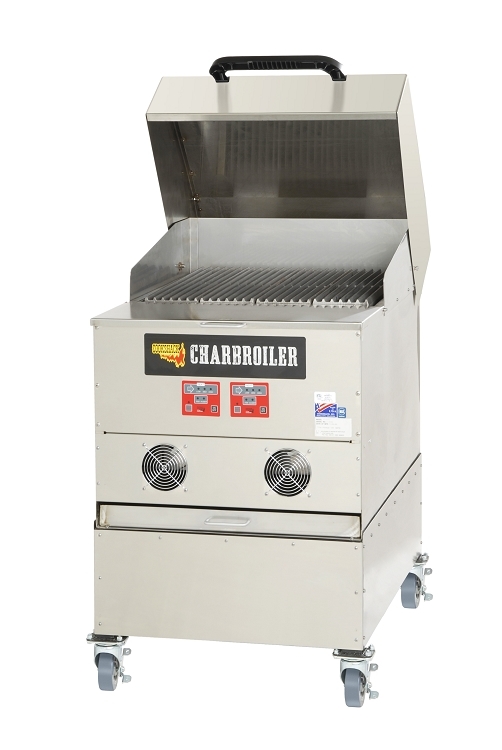 The Cookshack 24 Inch Charbroiler is wood pellet fired and adds smoked flavor to steaks, chops, chicken breasts and grilled salmon, while giving you the temperature control of a gas fired broiler. The double wall construction is insulated with 850 degree F Spin-Glas. The two cast iron grates weigh 30 lbs each and provide 480 square inches of total cooking space. 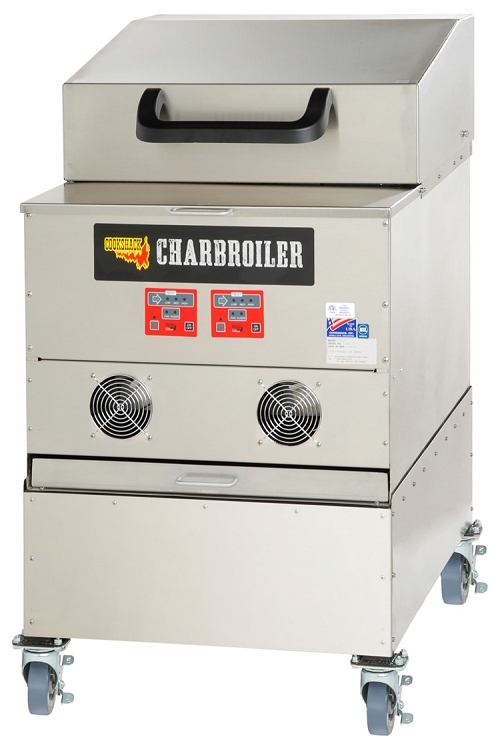 Cookshack CB024 Charbroiler is designed to give the wood-grilled flavor people love featuring an electronically controlled pellet-cooking system. The system is fueled by 100% food-grade wood pellets that are introduced into its fire-pot by an auger requiring a small amount of electricity to operate. Food tastes fabulous when cooked over pellet smoke! 24 x 20" = 480 sq.in. 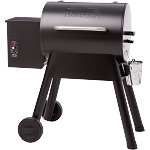 Cookshack Smoker Ovens are guaranteed to be free from defects in material and workmanship under normal use and when installed in accordance with factory recommendations. This limited warranty includes parts and labor for the first 90 days. Following the 90-day period, the two (2) year limited warranty is for parts only. Cookshack, Inc.’s obligation under this warranty shall be to repair or replace at its option any part deemed defective upon examination by Cookshack, Inc., or its authorized agent, for a period of two (2) years from the date of sale.